“Family that has fun together stays together”— this is a phrase which is the truest of all. It is always seen that family who goes out and have fun or hang out together often for functions stay together for a longer time. Not like other families don’t stay together but it is normal. You can see it among friends as well those friends who have fun together tend to stay in touch for a longer time. Friends may come and go, but your family will stay forever with you and it is important to stay in touch and have fun. You should try to make your gatherings as fun as possible so that you can remember it always because when you look back you get to see wonderful memories with your family. That’s not all; for the younger family members and children of the family, it is extremely essential to know the family values from a younger age. To nurture these family values it is needed that family gatherings be held regularly and that too fun ones. If you actually hold fun family gatherings than you might be out of ideas and tired of the same old activities. 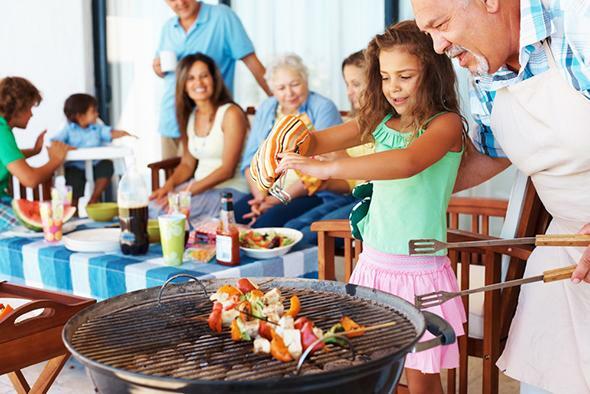 In that case, there are some fun family party ideas here that you can follow. For fun family parties find a game that all can take part in and find the hidden talents in a family. There could be a singer or dancer in your family and making them do what they are good can entertain you thoroughly. Make family birthday celebration a thing and it definitely will turn into fun family events. Kids in the family usually love crafts and pottery and games. Why is it important to make family events fun? The difficult task is to gather the whole family around because in today’s busy world all the family members have different jobs and it’s next to impossible for all the family members to find time at one certain point. So when that is done, it will not be nice to have a bleak gathering, right? Hence, all the fun games and fun family party ideas. Positive family environment has a great impact on the kids and old family members. As people grow older, family is one thing that they hold on to very dearly and they look forward to such family occasions. Whether the occasion is family birthday party or family communion brunch ideas, they love to be a part of it. A strong family is that which spends all the ups and downs of life together and opportunities for quality time emerge from quality time. The more time you spend together, chances are higher that you will experience and share more memories together. We all know it’s hard to find family time together but some families make it a point to meet every week for some or other fun family event and if you look at those families you will see the happiness and the strong bond between the family members. What effect does fun family functions have on family members? It is seen that children have better mental development in families who are closely knit and they understand the importance of sharing with each other. Families have different kind of members under one roof and staying and connecting with each one of them makes kids identify and understand human nature. Plus a close knit and fun loving family is any day better, they are like the extended hands and can help you any time you require help. But nothing too much is great and hence it is necessary that you keep a balance between too much and nothing. To start with family events first start with meals together at home. Having meals with children can distract them from some of the bad impacts of lifestyle such as video game and phone addiction. While you have meals together you will also talk to each other and that will allow you to catch up with each other. So plan up fun family occasions, dance, sing and play and make decorative items together. Build your family and celebrate every possible event. Get great family function ideas and family party ideas, celebrate family and celebrate life!